Yohanan Petrovsky-Shtern, who is a member of Ukrainian Jewish Encounter’s Academic Council, recently discussed two books he authored. 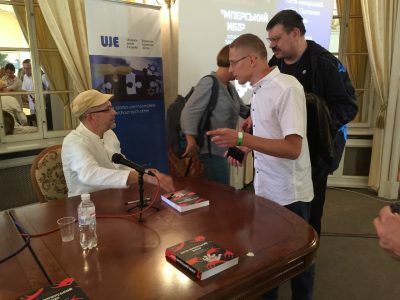 Below are a transcript of his interview with Hromadske Radio about his book “Jews and Ukrainians: A Millennium of Co-Existence” co-written with UJE Board Member Paul Robert Magocsi. That is followed by a video presentation of “The Anti-Imperial Choice: The Making of the Ukrainian Jew,” which originally appeared in English in 2009 and was published in Ukrainian in 2018. 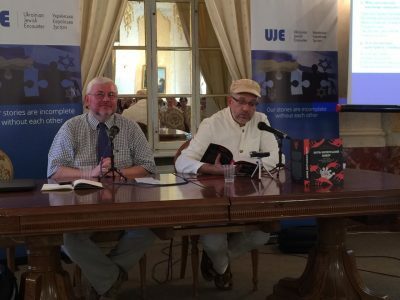 Petrovsky-Shtern spoke in Lviv at the 25 Book Forum as part of UJE’s program at the 25 Book Forum. Iryna Slavinska: We will be talking about the book Jews and Ukrainians: A Millennium of Co-Existence, by Yohanan Petrovsky-Shtern, which was co-written with Paul Robert Magocsi. A millennium of co-existence is quite an ambitious task for such a book. Let’s start getting to know it. What should a person who picks up this book expect from it? Yohanan Petrovsky-Shtern: Look, most people who pick up this book do not know anything about this history. They will be discovering much that is new, and it is difficult for me to imagine what people will see there first and foremost, apart from the 350 illustrations, 30 maps, and the captions to the illustrations. I think that there has never been such a book in this discipline or another. This is precisely why Paul Robert Magocsi and I tried to write a book that would examine various dimensions of Ukrainian–Jewish relations in various disciplines, so that there would be both publications and languages, manuscripts, libraries, printing, so that this would be history, art, folk culture, religious culture, educational organizations, the diaspora, etc. I think that this is an innovation with which we are entering the Humanities. The history of the relations of two peoples… In general, Ukrainian–Jewish history is not history alone—and this is a very important point in the book. Iryna Slavinska: I am convinced that for readers who are less acquainted with this history the very title A Millennium of Co-Existence will be a discovery in and of itself. Yohanan Petrovsky-Shtern: Of course. To talk about Ukrainians and Kyivan Rus′ is the same thing as saying that the starting point of the Ukrainians is the Trypilian Culture, which, as we know, is nonsense, as very good specialists note. If we look at any of these chapters, they can be read as a narrative, as a specific account, about the evolution of relations or about the absence of these relations. But it is very important that, if Professor Magocsi and I were permitted to add a bibliography to every chapter of this book, we would have a volume containing the hundreds of articles and monographs on which our work is based. And this is a new thing. When such books are written, they are digests. We know about a certain thing, let’s talk about them. This book is written differently. Let’s take, say, the beginning of the chapter on historical relations, where we examine a very well-known mythological point connected with the Khazars’ conversion to Judaism, with the influence of the Khazars on the founding of Kyivan Rus′, about which Omeljan Pritsak wrote quite a lot. Naturally, there are very many different, controversial aspects and, since I wrote this piece, it is based on dozens of monographs and articles that were published literally in the last five to seven years. In other words, I summarized everything that was available on the Khazar question and wrote about this as though I had been given the opportunity to identify, in fact, the current stage of studies devoted to this question. My two or three paragraphs on this topic are what may be called an academic review essay, that is, an essay in which I explain, without citing books, where the scholarship stands at this particular moment. And this kind of narrative may cause indignation in someone, but where does it come from? I am sorry. If I were allowed to say where I am taking this [information], I would have to append a twenty-page bibliography to these three paragraphs. Iryna Slavinska: It is necessary to publish a second volume, the bibliography. Yohanan Petrovsky-Shtern: Of course, but we can’t do this because the book is intended for the general public. But I assure you that in any of these disciplines, everything that we are writing about—about the painful topic of the Holocaust in Ukrainian-Jewish relations, art, or Ukrainian-Jewish cooperation during the establishment of printing presses and newspapers—nearly all the most recent works have been included in this book. I only have to apologize for not including Ivan Monolatii’s book about the noted Jewish publisher [Yakiv] Orensthain in Kolomyia who published Ukrainian literature when others didn’t want to publish them and only issued German or Polish works. I confess I did not include this book. Iryna Slavinska: Since we’re on the subject of bibliographies, I have this question. 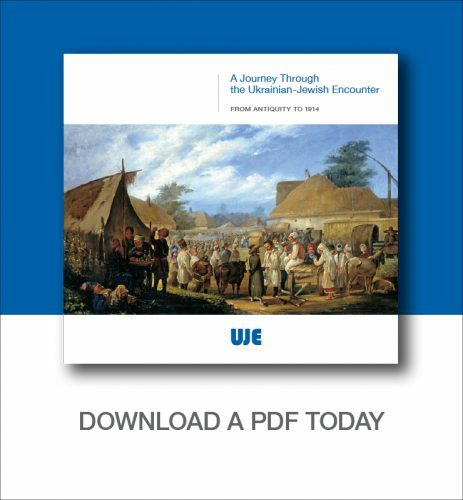 Were there chapters or, perhaps, historical periods for which there is a dearth of publications on the study of the history of Ukrainians and Jews? Yohanan Petrovsky-Shtern: That’s a very good question, and I would say this. There is a lot missing on the nineteenth century and the twentieth century. For example, Roman Serbyn wanted to publish the polemic between the two newspapers Sion and Osnova, which is linked to the use of the words zhyd and ievrei, and which provoked, I would even say, a many months-long polemic between the Ukrainian and Jewish press in the 1860s. This is a topic fit for a monograph, and the late John Klier has a small chapter on the Russian–Jewish press, but this topic requires monograph-type research. We needed to find out something about Ukrainian–Jewish relations, say, in the fifteenth and sixteenth centuries, the early seventeenth century, the period before the Khmelnytsky era. 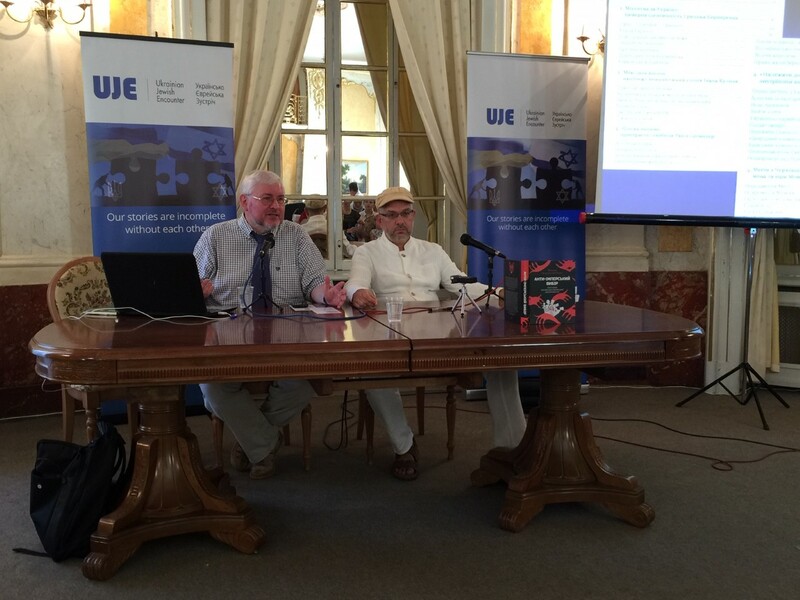 We know very little about Jewish–Ukrainian relations in Galicia. In Lviv. Myron Kapral, a wonderful specialist on this topic, published a book of documents in Lviv about these relations, but this topic needs separate monographic study. We do not have a decent monograph on the Khazar question. My colleague from Jerusalem, Alexander Kulik, is an excellent specialist of medieval culture, medieval texts; in bits and pieces, he collects all mentions of Jews in texts written in the Old Slavonic language, and in Hebrew-language texts, in which Jews who arrive in Western Europe from Chernihiv or Volyn are mentioned. Such texts exist, and they are very interesting texts; this is the twelfth and thirteenth centuries. These texts must be collected, published in the Ukrainian language, and interpreted in a monograph. There are quite a few blank spots. If I had my own institute, say, of young historians, philologists, and culture specialists who were ready to write good monographs and doctoral dissertations on these topics, I, sitting here on this chair, could give you thirty topics for doctoral dissertations and offer you ideas on how this can be done, so that they will be decent works, able to compete in the Western market. Iryna Slavinska: Maybe now we can concentrate a bit on individual semantic nodes. Straightaway, it is worth asking a rather sensitive question about the work being done on the topic, say, of stereotypes of Jews from the Ukrainian side and of Ukrainians from the Jewish side. Yohanan Petrovsky-Shtern: I think this is not just a sensitive issue; it is the main topic. And the book begins with this topic. We decided to begin it with a conversation about stereotypes. We had quite a few arguments about the people who read our book and wanted to foist all sorts of comments on us. Naturally, I thought that stereotypes, above all, are precisely what one people knows about another—Ukrainians about Jews, Jews about Ukrainians. “The haidamakas were gangs of criminals, who freely robbed everything that they clapped eyes on, who killed Jews brutally, even small children and pregnant women, on the earth that lit up with their sacrifice, the Uman land.” That’s how Jews view the haidamakas. Ukrainians: “The haidamakas, under the leadership of Zalizniak and Gonta, were brave peasants, who sought to cast off the yoke of the Polish-Catholic landowners and their Jewish lackeys.” Here you have two absolutely different approaches to the haidamakas. Iryna Slavinska: Are these cited monologues constructed or someone’s direct speech? Did you, as the authors, independently imagine how this narrative might be constructed? Yohanan Petrovsky-Shtern: You know, we thought about whether to take open quotations from third-rate but quite influential in the diaspora and Ukraine works by historians of Jewish culture, the history of Ukrainian culture, Israelis, Canadians, and Americans, and, with the aid of these quotations, demonstrate what a stereotype is. But it turned out that we had quite a good idea of these stereotypes precisely because they are stereotypes—it is not necessary to quote them because they are common knowledge. It’s what everyone knows. Iryna Slavinska: It’s in the air? Yohanan Petrovsky-Shtern: Yes, we decided to start from this. And you know I never showed this book to my colleagues although this book was celebrated when it was seen by the rector of my university. But I did not show the book to my colleagues, the eighteen or nineteen professors from various disciplines in the Center of Jewish Studies where I am a historian. 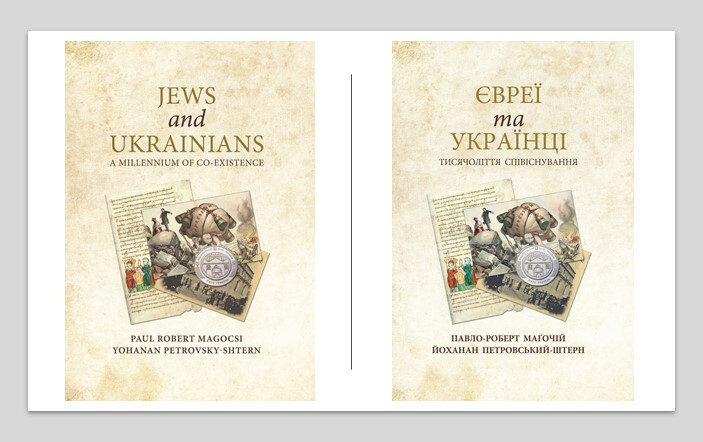 And suddenly an economist who heads our Jewish Center came up to me and asked, “Yohanan, why I didn’t you tell me anything about the book you wrote with Magocsi?” I told him, “Well, you know it’s kind of a popular book…” He replied, “I opened the book and started reading about anti-Jewish stereotypes among Ukrainians and anti-Ukrainian stereotypes among Jews and that’s what my granny told me! And he told me he got interested in the book just because he immediately recognized what he absorbed with his mother’s milk and what he heard in his family. This kind of stereotype is like a trampoline for any other discussion of this topic, and it is these very stereotypes that we are trying, if not to overcome, then at least to contextualize them in the book, in order to explain the sources behind them, how these stereotypes emerged. Fighting against stereotypes is the same as tilting against windmills. But I don’t know which one of us was Sancho Panza and who was Don Quixote, but Magocsi and I dealt with this in our book. And, believe me, there is a lot for which we can be beaten and hounded. But we did a very important thing, I think. We created what is called a road map: Here is a book, look what’s written there. It is based on the latest sources. If something is not to your liking, write your own articles, write your own monographs, write that you are doing this in a polemic with this book that does not deal with stereotypes as you see fit. Please, be my guest, as they say. Iryna Slavinska: Besides stereotypes, the topic of history as shared history, to which this book is devoted, also comes up. And, besides the blank spots that you have already mentioned, controversial subjects exist in this shared history. For example, I don’t gift “Kyiv Evening” candies to my friends in Israel as they have images of Bohdan Khmelnytsky. I know they wouldn’t be happy to see this image due to the history of the Khmelnytsky era and the attacks on Jews. Also, the participation of Ukrainians in the Holocaust. This subject is very painful for both the Jewish side and the Ukrainian side. I could name many other topics. How did you work with this material? Yohanan Petrovsky-Shtern: We always presented this material from various points of view. For example, the Khmelnytsky era is not only a Ukrainian–Jewish subject. It is a Ukrainian–Austrian subject, it is a Ukrainian–Muscovite subject, it is a Ukrainian–Polish subject. There is a considerable number of other points of view, not just the Jewish and the Ukrainian ones. We provide various points of view on this period in the middle of the seventeenth century. Another point is to place this topic within historical development. For you and me today, Khmelnytsky is the creator of the first Ukrainian state, even though he did not have anything like this in mind; he generally did not know how to call that which he was fighting for. But, at least in both the eighteenth and the nineteenth century there was not such an enthusiastic attitude to him as we now have. Shevchenko did not like Khmelnytsky. [Mikhail] Pokrovsky’s very popular book in Ukraine from the 1920s—Stalin banned it in 1933 or 1934—describes the Khmelnytsky era absolutely not from the standpoint of a person who is a sympathizer of Khmelnytsky’s. Iryna Slavinska: But Khmelnytsky is not the only one. In Shevchenko’s works there is an equal number of passages that are quite unpleasant for the Jewish reader. Yohanan Petrovsky-Shtern: Of course. You know, we’ll get to Shevchenko. At least when the scoundrel [Vladimir] Zotov decided to write an anti-Semitic article in 1859 in the newspaper Iliustratsiia—the liberal press had just started coming out and as you know whenever the regime is liberalized, scoundrels immediately crawl out—[Panteleimon] Kulish and Shevchenko signed one of the first letters protesting Zotov’s anti-Semitic attack. So, not everything is so simple with Taras Hryhorovych. And not everything is so simple with Paul Robert Magocsi, either. You know there are clashes between stereotypes. There is also a certain tension between two scholars, who may propose differing approaches to a topic. And this was truly the most interesting thing in the book. Iryna Slavinska: You wrote mirror chapters in places where tension arose. But did you reach a compromise nonetheless? Yohanan Petrovsky-Shtern: There was hardly any thematic or conceptual battle between Magocsi and me. I don’t remember a single instance of this, precisely because we have a specialist, professional approach. 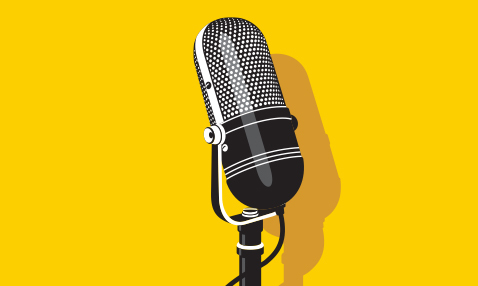 We understand that any topic requires context, any topic requires understanding, deep knowledge of sources, analysis of sources; and in addition to everything else, any topic requires the Jewish context (in the case of Magocsi) and the Ukrainian context (in my case). And on this intellectual basis it was not very difficult to write this book. I dreamed about writing this book with Magocsi because—I’ll tell you a story—when I first arrived in Canada on a scholarship in 1993 to the Centre for Russian and East European Studies, I gave some lecture and Magocsi came and invited me for coffee or lunch. We were sitting and talking—and this was a year and a half after Ukrainian independence and you have to understand there were so many discussions about this new and important and fantastic thing and everyone was asking what was going on. And Magocsi asked me what was going on and I considered myself so important and a VIP and responded, “the Ukrainian government…” Magocsi looked at me and asked, “Is there any?” You know when I heard this remark, I immediately realized this person very well understood what was going on in Ukraine in 1993. I was immediately taken by this very simple question! He asked me a question. Iryna Slavinska: A wonderful story. I have one more question. 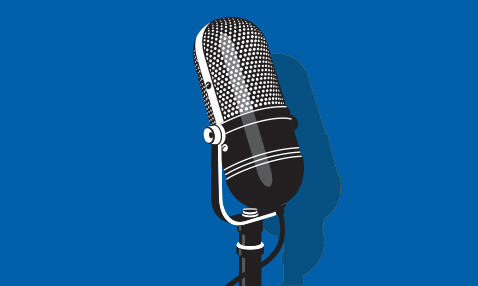 Is it possible to create a shared memory of historical events between Jews and Ukrainians? Yohanan Petrovsky-Shtern: It already exists, it is developing. I think that this book is not something that begins this memory. It is part of it; this is not the first or second year that this memory exists. It has existed for dozens of years; this is the memory of the hounding of the Ukrainian and Yiddish press in the 1860s and 1870s; this is the memory of the national renaissance of the Ukrainians, Ukrainian-speaking Ukrainians and Yiddish-speaking Jews in the 1920s; this is the memory of the shared experience in the dissident milieu in the 1970s–1980s. And, of course, this is the memory of Jews and Ukrainians, who are building independent Ukraine together. This memory does not need to be built; you have to apply efforts to it. Prof. Yohanan Petrovsky-Shtern, Northwestern University.